The crystal giant Swarovski has credited over 60 designers for their famous crystal figurines. There are certainly many other talented individuals who contribute to these fantastic crystal designs, but generally, only a single individual is credited for the majority of the figurine designs. Peter Heidegger followed in the footsteps of his father (who also worked for Swarovski), joining the company in 1990. Early on, he was responsible for product and presentation displays, and later head of packaging. (Sounds like he might have worked on Swarovski boxes ???) Peter Heidegger joined the design team in 2006. Reading the Peter Heidegger interview on the Swarovski web site, I it seems he may be a kid at heart. He enjoys adding humor, wit, and fantasy to his work (I interpreted this to mean ‘designs’, but I suppose this could be ‘every day job’.) Seeing that he likes animation, I’m not a bit surprised about the cute Lovlots figurines that he is credited with….that seems like a natural fit. He indicates he is hopeful to work on designs in the Lovlots line, Disney, and Muppets (if that would ever materialize). Peter Heidegger has been credited with 11 Swarovski crystal figurine designs since his move to the design team within the company. The list of designs below is ordered by launch date and consists of the Swarovski product name, then the system number. On the line below is the year of introduction along with the Swarovski product line and group. All these designs are still current and can be found in the online Swarovski shoppe. Of all the Peter Heidegger designs, my favorite one is the Koalas…I have always found them to be absolutely adorable. However, I also really like the kitty Lovlots Emily and Lovlots Jade. I like Emily’s vibrant color with the cute butterfly resting atop her ear. And Jade’s rainbow-like coat is magical. Wonderful figurines Peter…looking forward to seeing your more designs! 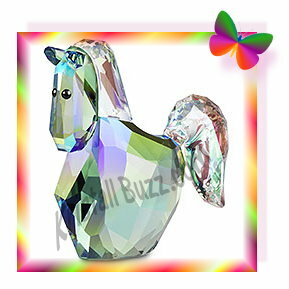 Horse fanatics and crystal fanatics will be happy to hear that our favorite crystal brand is coming out with a colored version of the Foals crystal figurine called Swarovski Foals Playing in the fall! First, I’m going to tell you about the Swarovski Foals. These sweet baby horses were designed by Martin Zendron. They were introduced in 2003 and presently retail for $380. 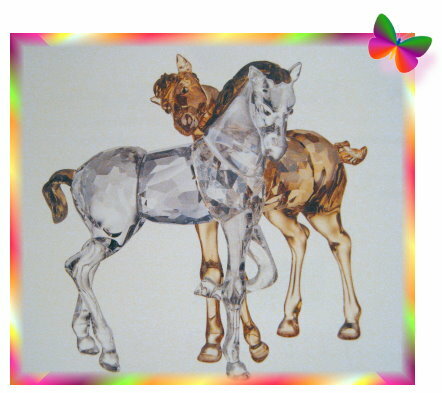 These clear crystal horses have frosted accents for the horses’ manes and tails. What I found on two different sites is a colorful variation of the Swarovski Foals. The crystal figurine is called Swarovski Foals Playing. The Foals Playing is an identical design to the Foals, except that one of the baby horses is like a coffee-brown in color. Even the clear horse has the brownish accents on the mane and tail. The Swarovski system # for the new figurine is 1121627. Since the Foals are in the Peaceful Countryside theme group, I am assuming that the new Foals Playing will be in the same theme group. My source web sites indicate that this figurine will be available near September, 2011. After writing the last post about the crystal giant’s Swarovski Nirvana Ring secret, I thought it best to share the answer with our Swarovski crystal friends sooner rather than later. The hidden Symbol in the Nirvana ring is a heart. If you look into a Nirvana Ring from above you will see a heart – the Symbol of love. I can only wonder if this was by-design, or if it was notice later in the production life cycle. I tend to believe that the crystal heart shape was planned in the design. Hope you enjoyed the Swarovski crystal mystery question! 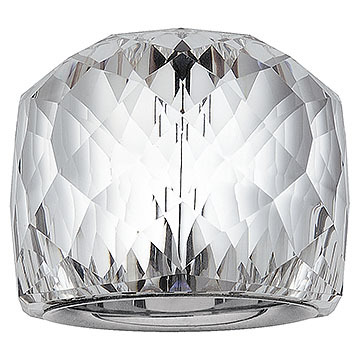 Earlier this month, I posted information about the Swarovski Nirvana Ring Sweepstakes. While I was doing some research for the post, I found that the crystal brand had run another Swarovski Nirvana Ring contest, which ended in June, 2011. The contest question was something like ‘What is the secret behind the 93 facets of the Nirvana Ring?‘ The good news is that I have the answer and I will gladly share it with our Swarovski fanatics friends in a few days. The secret is interesting.and in the meantime, good luck with this Swarovski crystal mystery question! Customers have asked us about the availability of some Swarovski Limited Editions available this year, 2011. Some Swarovski crystal fanatics tell us of rumors about the Swarovski NLE Bald Eagle being sold out. Others have asked us about the Swarovski NLE Hello Kitty production. I took a moment to check the crystal brand web site. What I was able to see was that both items are still appearing on the online shoppe, so I do not believe that either is sold out. The Swarovski Bald Eagle indeed displays the ‘Add to Shopping Bag’ button. Retail price of the Bald Eagle, Swarovski Numbered Limited Edition 2011, is $3800. A maximum of 10,000 Swarovski Bald Eagles are to be produced. As of July 4, 2011 Swarovski SCS membership is no longer required to purchase. The Swarovski Hello Kitty, Limited Edition 2011 also displays the ‘Add to Shopping Bag’ button. Retail price of the Hello Kitty, Numbered Limited Edition, is $8000. A maximum of 88 Swarovski Hello Kitty, Limited Edition 2011 are to be produced, so this is a true exclusive. 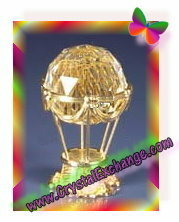 Crystal Exchange America has a large selection of retired Swarovski LE figurines (Limited Editions) and Swarovski NLE figurines (Numbered Limited Editions) available on their web site. Simply check out the Limited Edition Swarovski category of the online store. This evening I came across some functional issues in the Swarovski “Active Crystals” product line. Honestly, I hadn’t really checked out that area of the crystal brand’s web site until today. But I did find it intriguing and the Swarovski USB stick products charming enough to write about. Swarovski Chloy the turtle. Chloy is available in either green or purple. Swarovski USB Chloy retails for $100. Swarovski Howard the pig. Howard is available in either pink or black. Swarovski USB Howard retails for $100. Swarovski Maurice the bird. Maurice is available in either yellow or blue. Swarovski USB Maurice retails for $90. Swarovski Pearly the rabbit. Pearly is available in either red or white. Swarovski USB Pearly retails for $90. Swarovski USB Heart Necklaces are funky devices that hang on a stainless steel chain. The smaller sparkly heart is the part that is the USB drive. It is decorated with 54 small crystal stones. It holds up to 4 GB data and is available in five different colors: crystal, blue zircon, Indian siam (red), light rose (pink), and violet (lavender). All five colors of the Swarovski USB necklaces retail for $75 each. And last of the Swarovski USB devices are the Crystalline USB pens. These 2-in-1 units function both as a pen and a USB drive. The body of the ink pen is filled with 200 crystal stones accenting or coordinating with the barrel of the pen. Users simply pull the pen apart to reveal the USB drive. The Swarovski Crystalline USB pen is available in five different colors: anthracite (black), aquamarine, (light blue), Indian sapphire (looks like silver in the pictures?? ), light amethyst (lavender), and white pearl. The Swarovski USB pens retail for $75 each. USB flash drives (4GB) can generally be found for under $20. But if you are a friend of a Swarovski crystal fanatic, and you are looking for gift ideas, these Swarovski USB devices may be something to consider. At the Swarovski web site, you can go to the ‘Fashion Accessories’ category, then to ‘Active Crystals®’. There, you can find all the Swarovski USB sticks mentioned in the post. The Swarovski brand has employed over 60 designers for their famous crystal figurines. 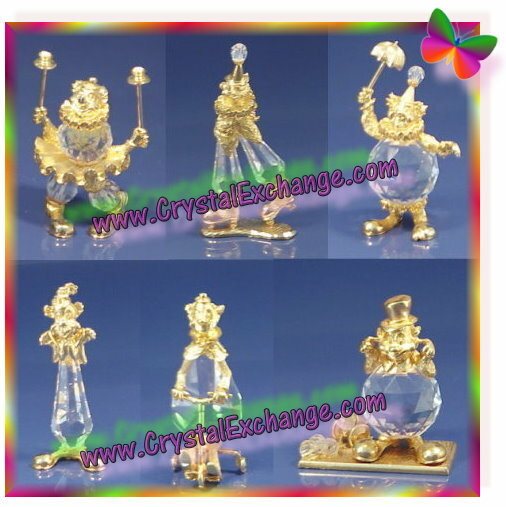 There are certain to be many other talented individuals who contribute to these fantastic crystal designs, but generally, only a single individual is credited for the majority of the figurine designs. Stefanie Nederegger is a Swarovski artist that joined the design team in 2004. Her education included coursework at Innsbruck HTL and training at the College of Glassmaking and Design in Kramsach. According to information on the official Swarovski web site, Swarovski has always had some influence in her life since they are so well known Wattens and Tyrol. Stefanie Nederegger thinks it would be interesting to transform any type of animal into crystal figurines because of the ‘play on form and facets’. She also likes colored accents to make crystal ‘vibrant and give it harmony’. Stefanie Nederegger has been credited with ten Swarovski crystal figurine designs since she began with the company. Five of the designs are in the Silver Crystal product line, four designs are for figurines in the Swarovski Lovlots product line, and one design in the Crystal Paradise line. The list below is ordered by launch date and consists of the product name, then Swarovski system number, followed by launch and retirement years. Of all the Stefanie Nederegger designs, my favorite one is the Lovlots figurine Camille. I like Camille’s copper color, and I like cats. Great figurines Stefanie…looking forward to seeing your next designs! According to Fox Sports Ohio, the owner of the Dallas Mavericks, Mark Cuban, was considering NOT to purchase championship rings for his basketball team. But Bazooka felt that the Dallas Mavericks should have a reward for their NBA championship. That being said, the Bazooka candy brand has once again added some Swarovski crystal bling to their ring pops to make them ‘special’ and commemorate an exciting event in 2011. The Mavericks Swarovski ring pop features the team colors of blue and white. The base of the blue ring pop is decorated with blue and clear Swarovski crystal stones. Some sources say it is edible, but same say that it is not edible. Bazooka also created a limited edition Swarovski ring pop to resemble Kate’s engagement ring. The Mavericks crystallized ring pop looks amazingly similar to the ring pop to celebrate the wedding of Prince William to Kate in April, 2011. 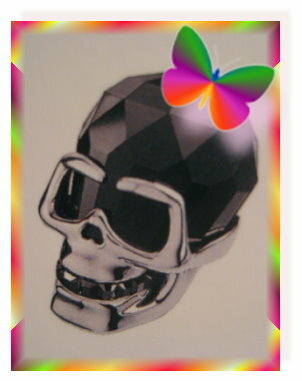 Pictures of the Royal Limited Edition Swarovski Ring Pop can be found in the Kristall Buzz April 2011 Archives. I wonder what event will next be honored with a special Bazooka Swarovski Ring Pop! Noted for its expert craftsmanship and elegant appeal, the Nirvana ring distinctively Swarovski’s iconic design and shines as a timeless classic among Swarovski rings. The Nirvana ring, launched in 1998 after two years of technical research, is part of the Daniel Swarovski Couture collection. Available in a wide array of crystal colors, including white, red or blue flash, jet black, emerald green, tanzanite and lavender glitter, the assortment is enriched each season with a new shade. Nirvana Crowne, which debuted in the FW 2010 collection. is encircled with crystals applied by hand using the exclusive Pointiage® technique, and the FW 2011 collection will introduce the Nirvana Petite ring, the latest variation of this contemporary classic. To celebrate the ring’s enduring allure, Swarovski will hold a monthly sweepstakes (through the end of 2011) beginning on May 5, 2011. The winners will be awarded a Nirvana Ring, crafted in faceted clear crystal and silver. To enter the Nirvana Ring Sweepstakes, visit WWW.SWAROVSKI.COM/nirvana . To enter the sweepstakes, partipants are signing up to receive their Swarovski Newsletter, and being entered in the sweepstakes all at once. Swarovski told me that collectors can enter the sweepstakes every month to have the best chance at winning, but will only receive only a single email of each newsletter. 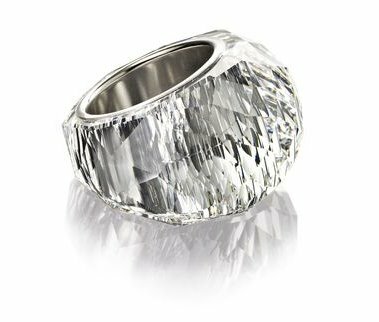 The crystal brand has produced a video incorporating the Swarovski Nirvana Ring, and it is in the February Kristall Buzz Archives. 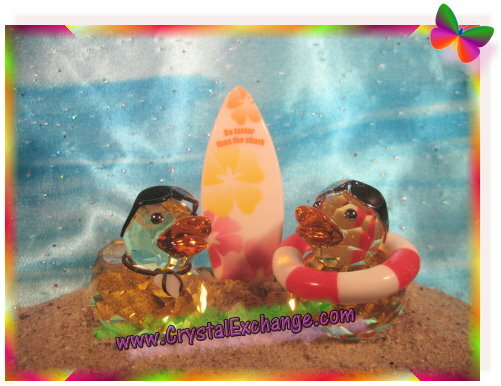 Best of luck to all crystal fanatics who enter the sweepstakes….I’ve got my entry in for the August drawing now! For all the Hello Kitty fanatics and Swarovski crystal fanatics, the Hello Kitty figurines are now available on the Swarovski web site for purchase. The Swarovski Hello Kitty crystal figurines are about 2 x 2.5 inches in size. The price tag of $205 seems a bit high considering the physical size of the figurines. I also noticed that the only earrings I found were CLIP earrings, not pierced earrings. The Swarovski Hello Kitty Limited Edition 2011 (Swarovski system # 1097008) does not show an ‘Add to Shopping Bag’ button. I’m not sure if it has already sold out, or if it simply is just not yet available on the web site at this time. Crystal Exchange America has added a new category for ‘Hello Kitty’ listings and has new Swarovski Hello Kitty information on their web site. That being said, the quickest way to get your new Hello Kitty figurines will be to purchase them from Swarovski or an authorized retailer.